Many couples seek a small chapel wedding to celebrate their wedding ceremony, and while there are numerous wedding chapels around the country very few can compare to the quaint Traveler's Chapel in Conway, South Carolina. 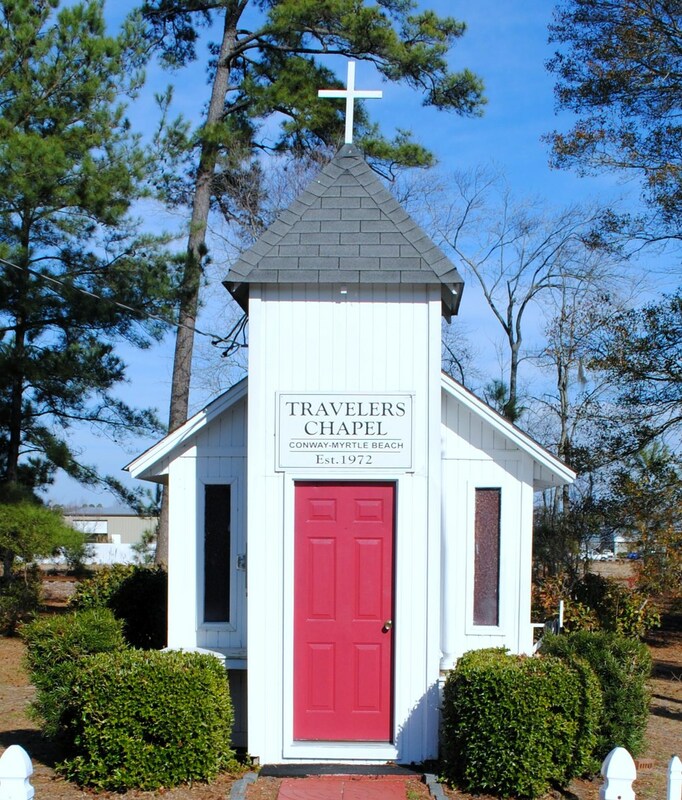 One of the smallest churches in the United States, The Traveler's Chapel was constructed in 1972. Funded by community donations it has been a welcoming inspiration to those traveling US Hwy 501 between Conway and Myrtle Beach, SC. There is no lock and the chapel is always open. This tiny church sees thousands of people each year who stop in to meditate, pray or simply snap some photos. The chapel measures a mere 12'X24' and can accommodate 12 people seated on its six tiny pews. The Traveler's Chapel provides an intimate setting for a simple wedding and hundreds of wedding ceremonies have taken place inside the chapel over the years. Admission is free, but donations are appreciated to ensure the chapel's ongoing upkeep and maintenance.